BELEM TOUR! 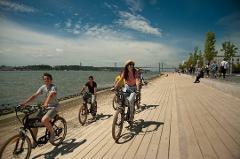 Let’s go along the Tagus River riding these electric beauties. We'll guide you through a wonderful tour where you’ll find an ensemble of iconic architecture and monuments related to the Age of Discoveries. FOOD TASTINGS! Tour around the city on an electric bike and taste our traditional delicacies but without feeling guilty as you will burn those calories off. 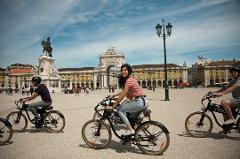 This cool tour will take you through the neighborhoods of Alfama, Graça & Mouraria. Explore the largest urban forest in Europe and one of its largest urban parks where you’ll be able to enjoy the best view of the city. 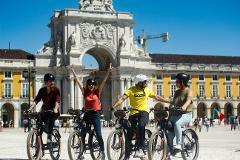 Get ready for a 20km tour, a wonderful journey on bike lanes with the extra push of your electric bike.